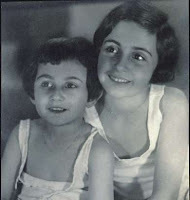 Anne Frank, born on June 12, 1929 in Frankfurt, Germany is the second daughter of Otto Frank. The family is Jewish and German. The Franks have lived in Germany for centuries. It is a carefree period for Margot and Anne. They have many friends in the neighbor-hood where they live. However, their parents are worried. Adolf Hitler, becomes the Chancellor and is responsible for the new government. Before very long, there is discrimination against Jews. Germany changes from a democracy into a dictatorship. Anne’s parents no longer feel safe and decide to leave Germany. Franks go to the Netherlands in the summer of 1933 and set up a company in Amsterdam. 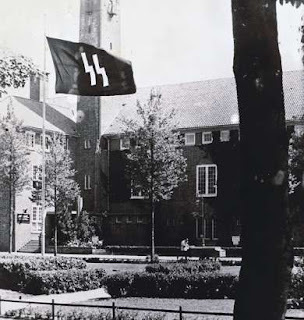 The Frank Family feels free and safe, until the German Army invades the Netherlands on May 10, 1940. Margot Frank receives a call-up on July 5, 1942. The Nazis plan to send the people they have summoned to work camps in Germany. The hiding place is located in an empty section of the building owned by Otto Frank's company. While business continues, as usual, in the front part of the building, there are people hiding in the annex out back. The people in hiding are helped by Otto Frank’s four employees. They arrange the food supplies, clothing, books, and all sorts of other necessities. In addition, they keep the people in hiding up-to-date with the news from Amsterdam. The people in hiding and the two male helpers are arrested and taken for interrogation to a jail run by the Germans. Other two helpers are left behind on the Prinsengracht. They rescue Anne Frank's diary papers. In her diary Anne Frank offers a fascinating commentary on human courage and frailty and a self-portrait of a sensitive and spirited young woman. During one of our Europe trips, we visited Amsterdam. One among the most popular places we visited there is "Anne Frank's Museum". Its the secret Annexe where Anne spent her last years. Thats where I got the motivation to read Anne's diary. After reading the diary which is really heart touching, I feel Anne's death is an individual loss. hey.. did u read Mein Kamph? Anyways I had read Anne Frank's diary last year, amazing book indeed. Btw where are you and how is life ?